At RS Wealth Management, we provide reports, through an independent third party, to help small businesses to gather the appropriate data. This data is used to produce the required reports in order to determine the reasonableness of your company’s retirement plan. After we collect your data, we organize the information to compare your company plan to an appropriate benchmark based on total assets. 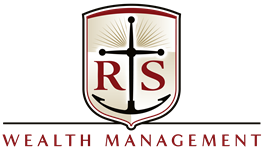 RS Wealth Management will also provide you with a breakdown on all investments used within your current plan based on a predetermined set of criteria. Our provided reports will satisfy your requirements under ERISA but they will not make you compliant should your retirement plan fail the “reasonable” standard. In an additional meeting, we would welcome the opportunity to share our services and be considered should your firm decide that changes or replacement of your current plan is required.